Item Name D L HSK-A 63 BORING BAR BLANK DIA 63.0 L 160 63 160.. Item Name D L HSK-A 63 BORING BAR BLANK DIA 63.0 L 250 63 250.. 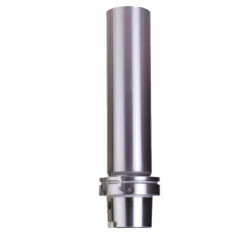 Item Name D L HSK-A 63 BORING BAR BLANK DIA 80.0 L 250 80 250..
What is HSK A-63 Boring Bar Blank ? Where can I buy HSK A-63 Boring Bar Blank Online?